Thousands of college students, including Phi Kappa Theta brothers, will head to Indianapolis during Christmas break to follow the teachings of Matthew 7:7: Ask and it will be given to you: seek and you will find; knock and the door will be opened to you. SEEK is an every-other-year conference organized by the Fellowship of Catholic University Students (FOCUS) to provide outreach to college students looking for answers to life’s big questions. “It was formative for me because I learned how to pray and have a relationship with God,” says Chapter President, Aaron Siehr (University of Wisconsin-Madison), who attended SEEK 2017 in San Antonio, Texas. “Everybody gets something different from it,” according to TJ Kessler (University of Nebraska-Lincoln), Vice President of Spiritual Development. “It makes you more confident to grow in your faith on campus.” Kessler attended his first SEEK conference in Nashville, Tennessee, as a freshman and went back to San Antonio, Texas, two years ago. He plans to travel to Indianapolis in January. 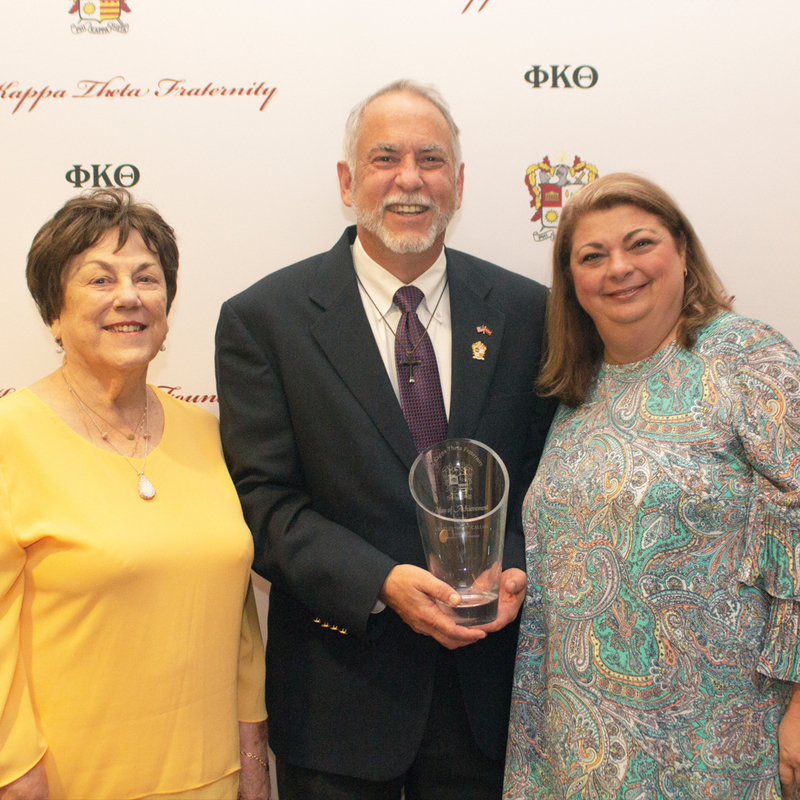 “My personal opinion is that every good relationship has a spiritual component.” Kessler adds that this philosophy coincides with the Phi Kappa Theta pillar of Spiritual Development. 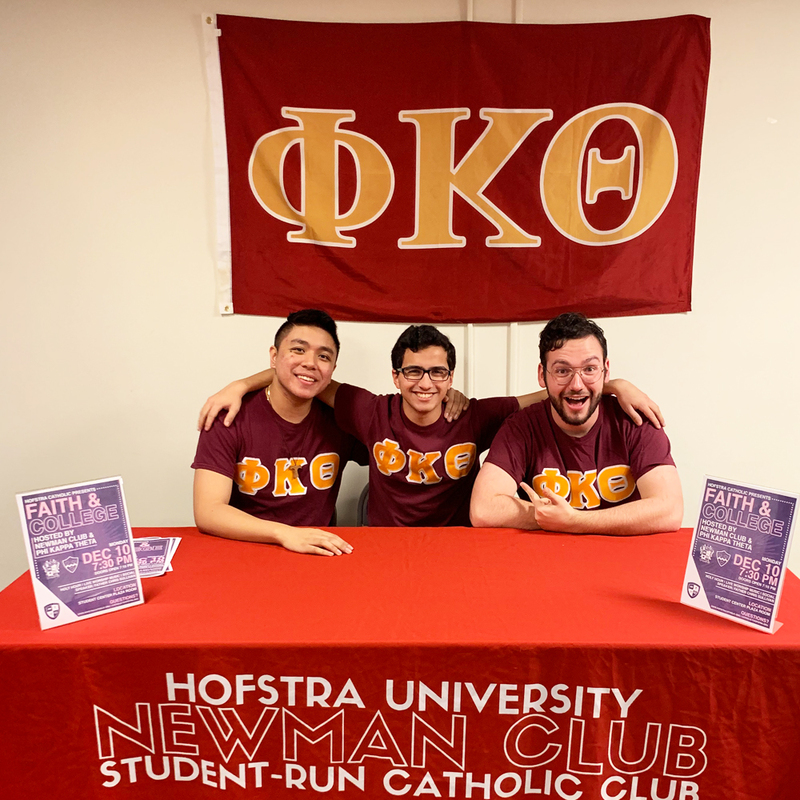 The conference, attended by approximately 17,000 two years ago, provides an opportunity for Phi Kaps in attendance to explore and develop the spirituality aspect of the fraternity’s mission. Kessler says that in 2017 about half of the brothers in the house attended the conference. This year’s gathering in Indianapolis features well-known speakers and entertainers. It builds in free time for socialization and opportunities for attendees to explore the city’s attractions. Indianapolis, for example, is home to 11 professional sports teams, is the “Racing Capital of the World” and is home to the Executive Office of Phi Kappa Theta. Indianapolis successfully hosted the 2011 Super Bowl at Lucas Oil Stadium and is well equipped with hotels rooms, museums and restaurants – all in walking distance. Main Image: Colorado State University, University of Nebraska and Bridgewater State University Brothers at SLS 2018 in Chicago, IL. FOCUS (Fellowship of Catholic University Students) will have three main events for Greek students throughout the conference as listed below. The lunch events will feature a short talk followed by time for fellowship. The FOCUS Greek Bid Day is an opportunity to welcome all Greek students in attendance to the FOCUS Greek community and allow them to meet brothers and sisters from their respective chapters all over the country. Brother Callais alongside his mother, Gloria (left) and wife, Blanche (right). Service to others is a part of living life to the fullest, says 2018 Man of Achievement Mike Callais (Louisiana State University, ‘84). A 1984 graduate of Louisiana State University, Brother Callais embodies the term “servant leader” and our fraternity’s motto, “Give, Expecting Nothing Thereof.” Today, the seasoned business leader is chairman of Abdon Callais Offshore, as well as a board member at Community Bancorp. His diverse leadership experience includes influential roles in the real estate, automobile, solid waste and cable industries. Mike’s late father, Harold, was a faith-filled man who helped lay the foundation for his son’s approach to life. “He firmly believed in controlling the things you can control and not worrying about the things you can’t,” Mike says. His mother, Gloria, instilled faith into her children early on. Mike is a board member of Phi Kappa Theta Foundation. He and his wife, Blanche, have been instrumental in the Foundation’s support, enabling the Fraternity to develop programs that provide a spiritual pillar for collegiate brothers. Mike is actively engaged at Our Lady of Prompt Succor Catholic Church in Golden Meadow, LA. Also involved in many nonprofit organizations ranging from Leadership Lafourche to Nicholls State University, Mike was the recipient of the Diocesan Service Award presented by the Diocese of Houma-Thibodaux as well as the Outstanding Rotarian Award from the Rotary Club of Golden Meadow. He is a Fourth Degree Knight of Columbus and has been recognized several times as Knight of the Year. He is also instrumental in conversations on re-chartering the Phi Kappa Theta chapter at LSU. 2018 Man of Achievement, Brother Mike Callais (Louisiana State University, ‘84) (left), alongside 2018 John F. Kennedy Award recipient, Ali Soufan (Mansfield University, ‘94). Both pictured at IMPACT18 in Orlando, FL this past August. Like the servant leader he is, Mike accepted the 2018 Man of Achievement award with great reluctance and great humility. We even had to enlist Blanche – our “secret weapon” – to encourage him to accept! Mike credits his success to those who have guided him throughout his life. He also encouraged his fellow brothers to invest in developing servant leaders. “I urge you all to make a contribution – some contribution – to our Foundation,” Mike said, adding that we are each called to lift up others wherever we can.